Next-generation high-speed optics with advanced features. 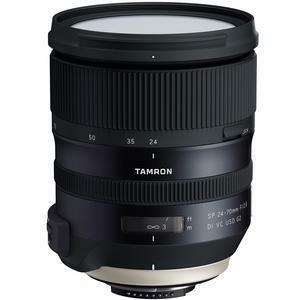 The Tamron 24-70mm f/2.8 G2 Di VC USD SP Zoom Lens for full-frame DSLR cameras (model A032) is a fast f/2.8 zoom that achieves top-level image quality. The Dual MPU (Micro Processing Units) provides rapid autofocusing with improved accuracy and the highest vibration compensation performance of any lens in its class (CIPA level of 5 stops). 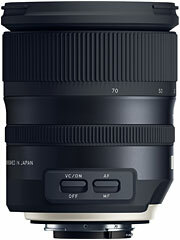 The use of specialized, high quality glass materials (offering greater optical transmittance) for the lens elements assures superior color reproduction and greater sharpness, while the application of Tamron's exclusive nanotechnology-based eBAND Coating substantially curbs the ghosting and flare that are prone to occur in backlit photography, successfully improving the overall optical performance of the lens. Additionally, the A032 provides the added conveniences of protective Fluorine Coating, Moisture-Resistant Construction and a locking lens hood. 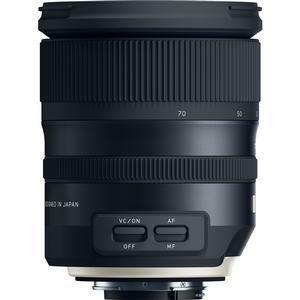 Photographers can use this high-speed zoom lens for wide-ranging purposes, including landscape, portrait, news, travel and many others. The use of specialized, high-quality glass materials assures accurate color reproduction and superior sharpness, perfect for today's high-pixel-density cameras. 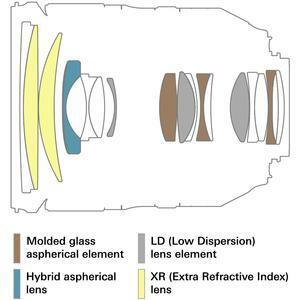 The optical construction (17 elements in 12 groups) uses 2 XR (Extra Refractive Index) elements, 3 LD (Low Dispersion) elements, 3 GM (Glass-Molded aspherical) and one hybrid aspherical lens element. Together they minimize axial chromatic aberrations, transverse chromatic aberrations, spherical aberrations and distortion, and allow a compact design that achieves superior image quality. 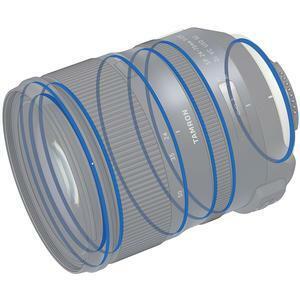 The A032 features Tamron's original eBAND (Extended Bandwidth & Angular-Dependency) Coating, a technology combining a nano-structured layer that has an extremely low refractive index with conventional multiple-layer coatings to provide superior anti-reflection performance. The optimal application of this eBAND Coating in combination with Tamron's BBAR (Broad-Band Anti-Reflection) Coating successfully and substantially curbs the ghosting and flare that can occur when photographing backlit subjects. 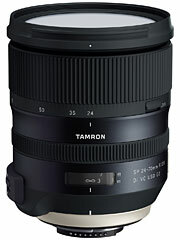 The A032 is equipped with Tamron's proprietary VC (Vibration Compensation) system. Adding an MPU dedicated to VC processing unleashes a new-generation algorithm, ensuring the highest vibration compensation ability in the class (CIPA level of 5 stops). Even in low light or with slow shutter speeds, photographers can enjoy shake-free handheld shooting with ease and comfort. The Fluorine Coating applied on the front element surface is water-and oil-repellent and allows safe and easy removal of fingerprints, dirt and smudges. The coating also provides an enhanced level of durability, and will sustain its effectiveness for years. 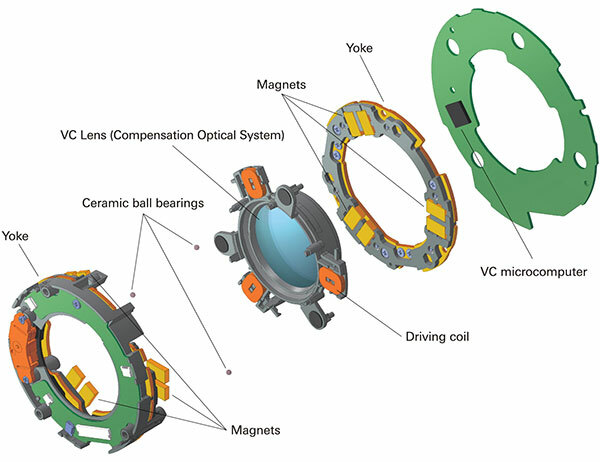 The seals are located at the lens mount area and other critical locations to prevent infiltration of moisture and/or rain drops to provide Moisture-Resistant Construction. This feature provides an additional layer of protection when shooting outdoors under adverse weather conditions. 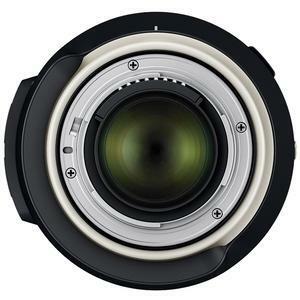 The A032 is compatible with the optional TAMRON TAP-in Console an optional accessory product that provides a USB connection to a personal computer, enabling users to easily update the lens firmware as well as customize features including fine adjustments to the AF and VC. Tamron has enhanced the SP series lenses to fulfill high-level photographic requirements and provide the pleasure of ownership. 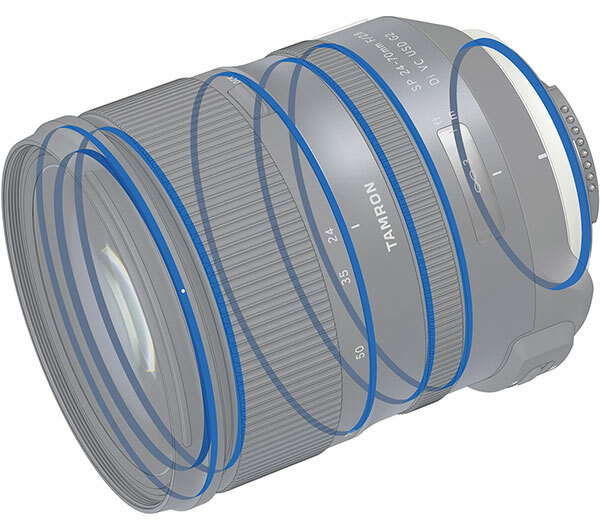 While introducing a new exterior design, Tamron reviewed the SP series standards. 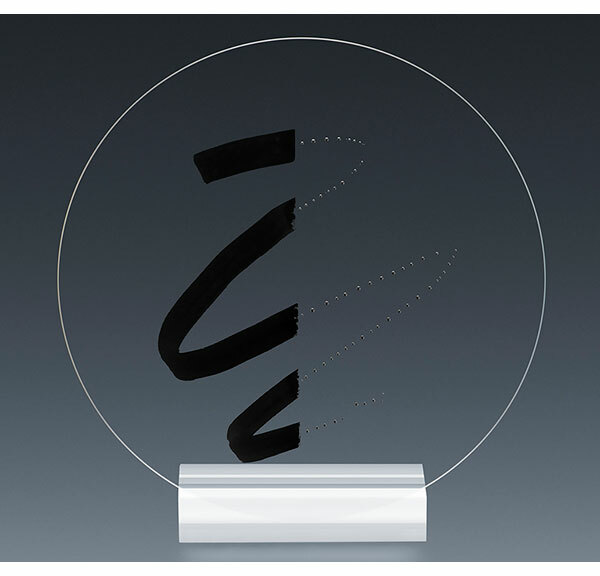 The SP series has been developed by setting rigorous standards for design, manufacturing and quality that apply to the optical design and mechanical design as well as such wide-ranging areas as the product's robustness and improvements in a variety of individual functions. For this model, Tamron has introduced a unique MTF (Modulation Transfer Function) tester, which was developed exclusively for Model A032, and reviewed the management method. 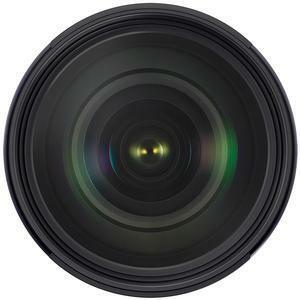 This has helped to achieve a more consistently superb optical performance, making it a lens that fulfills the demand for higher image quality that is compatible with the latest high-pixel cameras. To maximize the optical performance of the SP series, Tamron will continue to enhance the accuracy of the component parts of each lens element unit and improve the mechanical precision of the entire lens, thereby achieving a high overall performance.